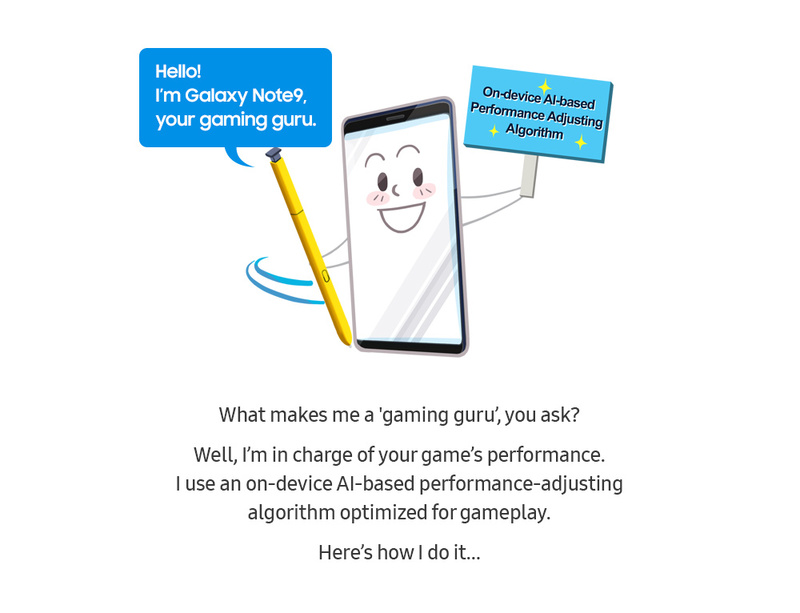 Deep within the Galaxy Note9, there is an AI gaming guru ready and waiting to redefine your mobile-gaming experience. 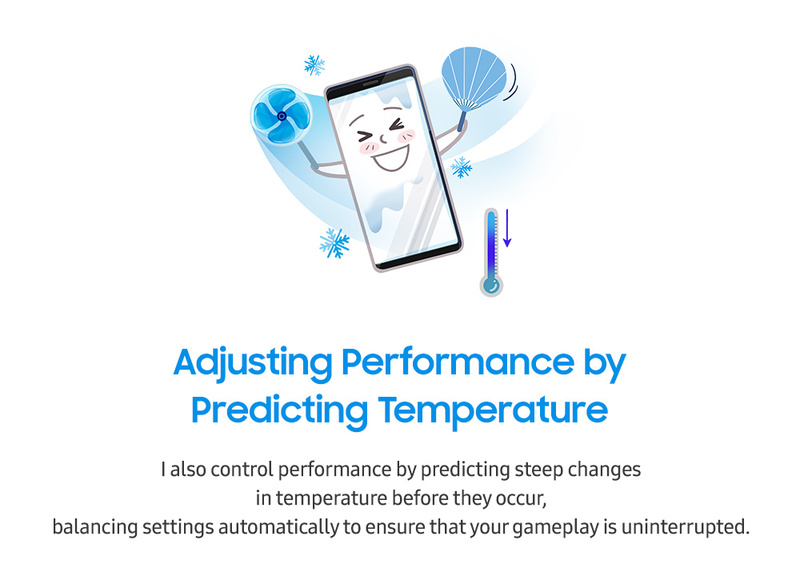 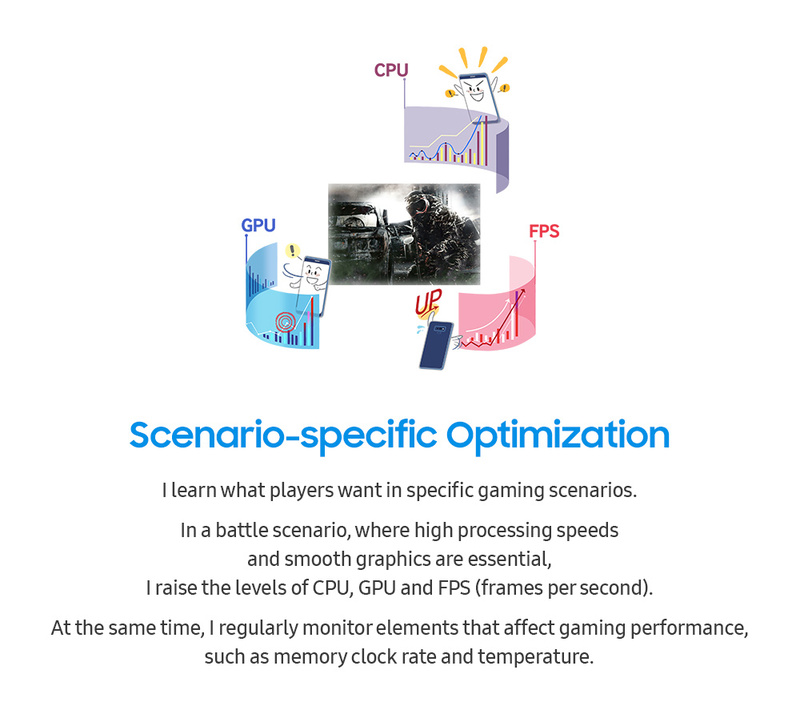 The device’s on-device AI-based, performance-adjusting algorithm is optimized for specific scenarios and learns what you want from your play patterns. 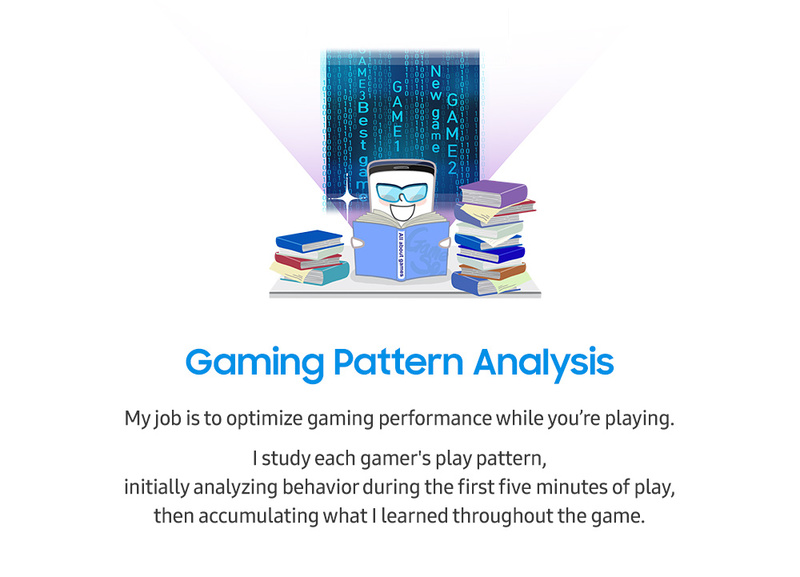 Through a combination of analysis, optimization, predictions and controls, the algorithm works to ensure your gameplay is uninterrupted. 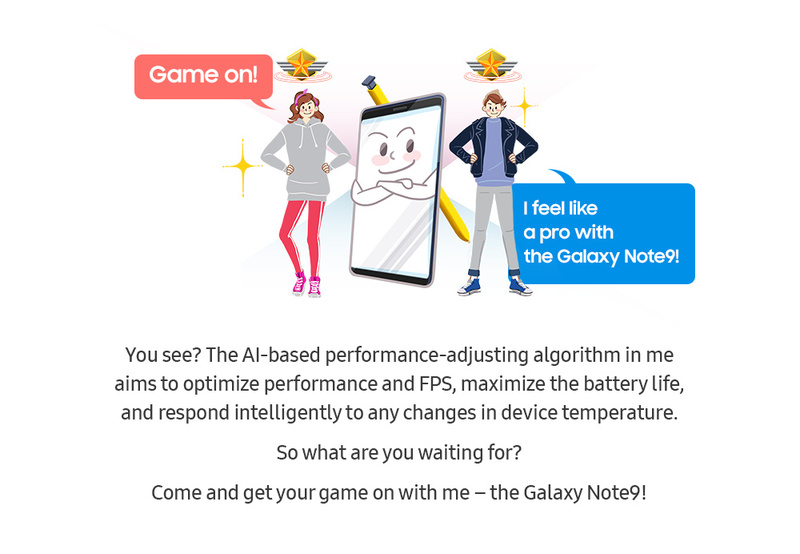 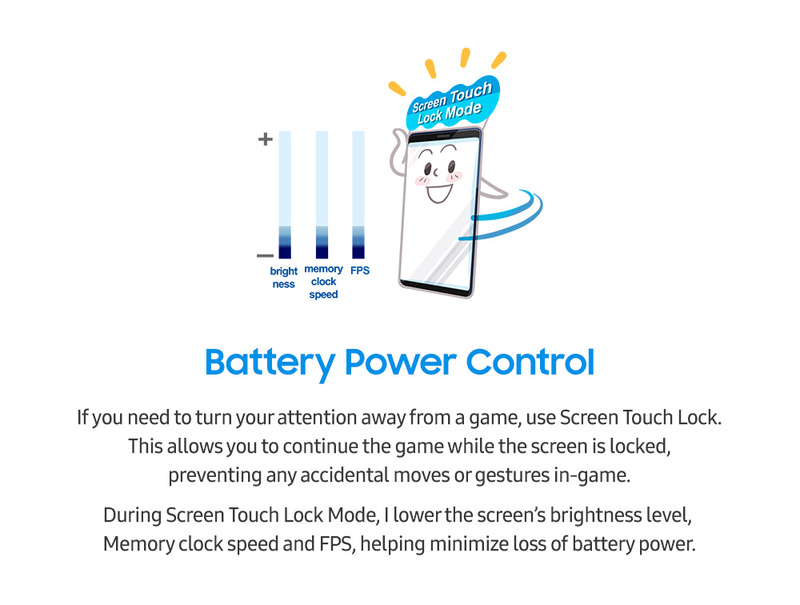 Let the Galaxy Note9 give you a tour of its innovative technologies in the guide below.